Insulation contractors at 31-W Insulation are knowledgeable professionals you can count on for start-to-finish services in Cookeville, Tennessee. Since 1972, 31-W Insulation has been providing insulation solutions and other home improvement services to residents across the southeastern United States. Our long history of providing outstanding products and installation services that meet our customers’ needs is reflected in our A+ rating with the Better Business Bureau. So when you have a problem with the insulation in your home, 31-W Insulation has the contractors you can rely on. Insulation contractors from 31-W can help you identify the areas of your house that are causing these problems and offer the right products to fix them. Our insulation comes from top brands like CertainTeed and Owens Corning for superior durability and insulating capabilities, and our highly trained professionals will carefully install it in your home, filling every nook and cranny for the best results possible. With 31-W’s services, you’ll be able to enjoy your newly insulated home in no time. 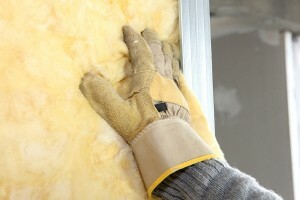 To schedule a home assessment with one of our insulation contractors in Cookeville, TN, contact 31-W Insulation today.